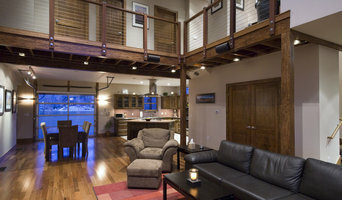 Green Line Architects is a service-oriented design firm located in Carbondale, Colorado. We are in the heart of the Roaring Fork Valley between Glenwood Springs and Aspen. An award-winning firm, Green Line specializes in sustainable future-thinking designs. We carefully craft designs for residences, (single-family and multi-family) as well as restaurants, light commercial spaces and agricultural buildings. We have a commitment to the local community and work with many local non-profit organizations. Full service boutique architectural and interior design firm with locations in Basalt, Colorado and Asheville, NC, specializing in thoughtful residential design and remodeling. We excel at the creation of beautiful and livable spaces, with a design philosophy heavily rooted in practicality and efficiency. Charles Cunniffe Architects is an award winning architecture, land planning & interiors firm based in Aspen, Colorado and commissioned for work throughout the United States and abroad. Founded in 2001, AXIS Productions prides itself in making your new home or remodel our priority. Our mission is to create beautiful, livable spaces that meet our clients aesthetic, functional, and economic goals. Every site and home is carefully evaluated to provide the best design. Aimee Conrardy has been a member of the American Institute of Architects since 2001, the RVR Design Review Committee (DRC) since 2003 and is also a member of National Council of Registration Boards and Sopris Mountain Ranch DRC. A graduate of the Rhode Island School of Design, Aimee has a Bachelor of Architecture, as well as in Fine Arts. Zone 4 is a boutique Architecture studio located in Aspen Colorado. Zone 4 has evolved from its origins in 2001, when the company was launched by Bill Pollock & Dylan Johns and were soon recognized by Aspen Magazine as two of the seven “young talents who are defining individual style in Aspen.” In the last 18 years, Zone 4 has built a diverse portfolio of modern and traditional high end custom residential architecture, commercial, mixed-use, and affordable housing projects. The firm's guiding philosophy has been that good design sets the stage for great projects, but those best efforts can fall short with poor follow through. Zone 4 takes a comprehensive approach to the building process, and converts years of experience into practical application of documentation and project management. Project teams are built around specific roles, which helps to ensure that rotating staff does not introduce errors into the process and our clients always know who they should be speaking to about their project. Please call us today so that we can discuss how to turn your vision into a reality! Sculptural, contemporary, site-specific architecture is our specialty. 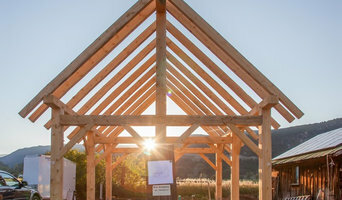 Each RKD design shares a connection to the environment, because our structures grow from their sites. We seek a constant dialogue between interior and exterior and combine organic materials with unconventional shapes; melding form and function. Our designs, coined contemporary rustic or mountain modern style, have evolved over the past 24 years, with a remarkable diversity of projects that always echo the natural landscape. Feel free to reach out to us, we would love to hear from you! Menendez Architects pc is a full service architectural firm with a strong commitment to quality design and service. With a focus on excellence, we create designs that are uniquely characteristic of our clients’ needs and aspirations. We attentively listen to our patrons and respond with thoughtful solutions that result in functional spaces that are spiritually gratifying. We believe that no one style is appropriate to every building and every site. Our aesthetic vision draws inspiration from our clients’ dreams, and the personality of the place where we are building, to create environments with an enduring sense of character. Unusually diverse for an Aspen, Colorado based firm, Menendez Architects’ works include residential, public, commercial and industrial projects. Menendez Architects’ dedication goes beyond the design process to include thoughtful execution of construction documents, structured for the building process, and construction phase services geared towards contractors’ needs. Smart Architecture. Environmentally friendly custom homes, remodels, interiors, planning, and landscapes. The process of designing your dream home / office / restaurant / backyard should be a fun experience. We will listen to your ideas, and work with you to bring your project to reality,..........and we are great at making it a fun experience. Donna Riley Architect is a small firm specializing in custom design and green building practices for your home, addition, or remodel. The firm was founded in 2002 and provides full architectural services from land selection and conceptual design through construction documents and management. Our experience in high end custom design marries perfectly with our extensive knowledge of green building to create homes that are as beautiful as they are sustainable. We achieve this using a team approach of collaborating with both owner and builder to ensure the most innovative and cost effective solutions to our clients needs. Our mission is to create functional spaces that feature character, comfort, and soul in the most environmentally conscious way possible while staying on budget. In today's digital world, there are no more borders or boundaries. The internet, computers and BIM software have revolutionized the entire design landscape - where clients are free to choose any architectural firm they wish - no matter where they reside. Over the past 30 plus years, our firm has successfully designed luxury homes for clients all across the country - from California to Florida; and Massachusetts to Colorado! If you're like us, and you feel there is no time to waste, then I personally want to hear all about your dream home - whether it is your first, second or third! New Home projects from $750,000 to $7M. Renovations & Additions from $150,000 to $1M. Kitchen Remodels from $40,000 to $120,000. These estimates are based on our 30 plus years of experience. The actual costs will vary according to the scope of your project. Call or email us to discuss your specific goals. Martin Manley Architects is a collaborative architectural firm originating from the successful partnership of two respected architects in the Colorado mountain region and rooted in the picturesque communities of Vail, Minturn, Avon, Edwards, Eagle, Gypsum, and Aspen. John G. Martin, Architect AIA and Jeffry P. Manley, Architect, AIA, provide a superior level of design expertise and construction documentation using the cutting edge "Building Information Modeling" software REVIT as well as AUTOCAD and SKETCHUP. The firm produces highly detailed and accurate three-dimensional architectural design presentations and construction documents. They leverage insightful construction knowledge and software expertise with a low-overhead business model to provide reasonable and competitive fees. Add to that a combined 40+ years of experience designing stunning mountain residential projects as well as remodels, additions, light commercial and restaurant projects of all sizes, styles and complexity, and you can see why Martin Manley Architects is the architectural choice for a sizable group of satisfied owners, developers, and builders from the mountain regions of Colorado and beyond. From the high-end to the low-budget, from the flattest to the steepest site, and from East Vail to Aspen to Belize, Martin Manley Architects has produced a body of architectural work which exudes a confident style, a disciplined balance, and an attention to context and detail. Pedersen Architectural Services has been in business since 1997. Jess was born and raised in the Roaring Fork Valley and is a graduate of the Rhode Island School of Design with bachelor degrees in both Architecture and Fine Arts. Jess is a fully licensed architect in the state of Colorado. As a small firm the approach of Jess's practice is to work directly with the client’s site, program and budget; all elements involving teamwork to create a unique solution. One of the most important factors in the design phase of any project is the relationship between the architect and the client. The multi-disciplined knowledge of the architect must understand and nourish the client’s needs and vice versa in order to create the final product. This ideally will make the difference between any house, anywhere and your home in it’s special place and with it’s personal touch. The final outcome is the architectural object, and the architectural object is the sum and expression of all its conditions and influences. Traditional architecture was generated in response to climatic and cultural influences of the region. It is felt that it is the architect’s role to acknowledge the characteristics of the site and region with the building design. It is my duty to challenge, as well as, accept the preconceived definition of mountain architecture. New technologies and lifestyles merge with rural myth and tradition to bring a “timeless architecture”, a hybrid of indigenous and contemporary elements to meet the client’s needs. How do I find the best Chacra architect for my home design project? It is best to hire a home architect who will be involved in all phases of the design process, from the initial concept to the completed construction. The architect is often the first person you will hire for your project. If necessary, they might also help you select and hire Colorado subcontractors, which can include the builders, engineers and landscaper. Interior architects are also involved in negotiating contracts for all involved participants. It is for these reasons that it is extremely important for you to have a good relationship with the Chacra residential architect you hire. He or she can be the tie-breaking vote between you and the general contractor and can be your biggest advocate during the construction process. Different architecture firms in Chacra, CO provide different services, so the scope of the work can span from pre-design environmental impact studies to selecting furniture and finishes, depending on what your specific needs are. It is very important to hire the right professional for the job. Remember that the most well-known or established designer might not provide the best architectural services for your needs. It all comes down to the individual project. Research and ask people whose work you like for recommendations. It's important to have somewhat of an idea of the style of house architecture that you prefer, as well as the amount you would like to spend. 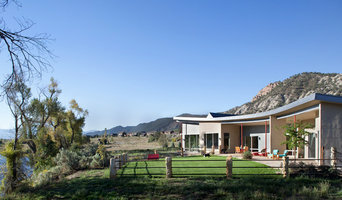 Residential architects in Chacra, CO are natural problem solvers. They will assess the entire situation and help you to solve your problems too. Don't settle for a single company too early. Call and interview a few. Make sure that you feel like your personalities will mesh well and that you like their professional perspective. Find a home architect in Chacra, CO on Houzz. 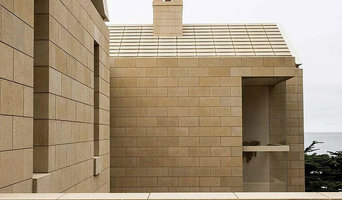 Narrow your search in the Professionals section of the website to Chacra architects. You may also look through photos of Colorado projects to find interior architects and building designers who have worked on a project similar to yours.